If you have rotator cuff pain, you understand how it can have many negative effects on your life if left untreated. Thus, it’s critical that you find out what’s causing your rotator cuff pain and find an effective treatment for it. Luckily, if you live near Grand Rapids, Michigan, treatment for this type of injury is nearby. Advent Physical Therapy can help you deal with many different types of pain. We’ve been helping people in Grand Rapids, Michigan find the best physical therapy for their pain since 1996. We know that damage to your rotator cuff can cause you a significant amount of pain. We’re also aware that several things could be causing this pain. Our team can use evidence-based physical therapy to help you deal with your rotator cuff pain efficiently and effectively. Four muscles and tendons connect your upper arm bone to your shoulder blade. These muscles and tendons are commonly known collectively as the rotator cuff, and it can be injured in many different ways. Advent Physical Therapy commonly sees rotator cuff injuries, because they are easily caused by a variety of everyday activities. For instance, an excessive amount of throwing the baseball with your children can lead to this type of injury. It can also be caused by stretching your shoulder too far while reaching for something on a high shelf in the kitchen. Even lifting objects like boxes of holiday decorations that are heavier than you thought can cause you to injure your rotator cuff. 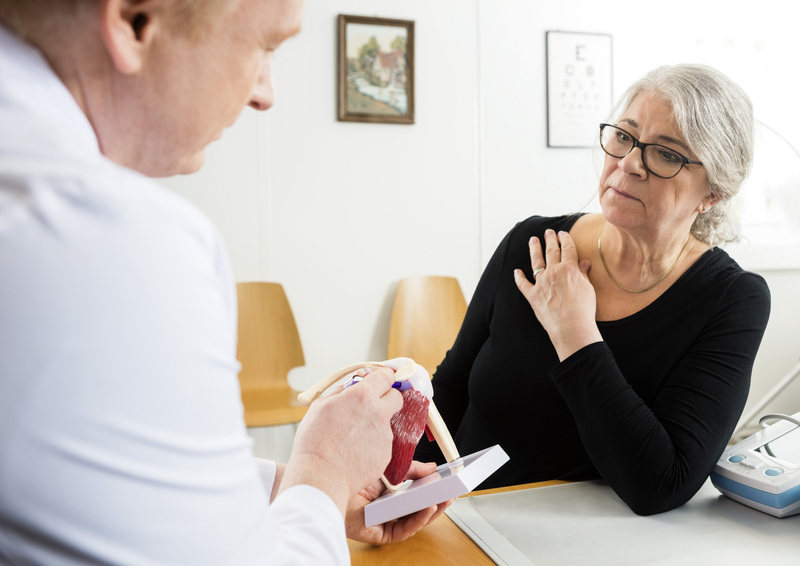 Besides these common causes, your rotator cuff can also be injured by things like car accidents or falls around the house. Our team and you can work together to combine these evidence-based therapies with things like resting your shoulder at home. There are many ways that we can help you get started with your treatment plan, but one of our most popular is our 15-minute free screening. To sign up for your free rotator cuff pain screening, contact our team at 150 Jefferson Ave. SE, Suite 100 in Grand Rapids, Michigan today.